Imagine if stories about local businesses were also included in a town’s narrative. Would that change local community investment in the project? What are the benefits to local businesses? Cultural stories about the places that matter to people provide new opportunities for outreach and content-based marketing. We publish the stories that matter to your organization and audiences on the most popular free and open platforms, and these stories are seen, read, and heard by thousands of people, both locally and around the world. This location-based content provides the “word-of-mouth” effect that can elude traditional advertising and business development initiatives, at a fraction of the cost. Overall, the proliferation of fascinating stories about your local community and area businesses will encourage people to visit the town and specific districts. As your city’s culture thrives, so too will its business sector. Offer a coupon or other benefit to people who tell you they dropped by because they were listening to a specific story or tour. 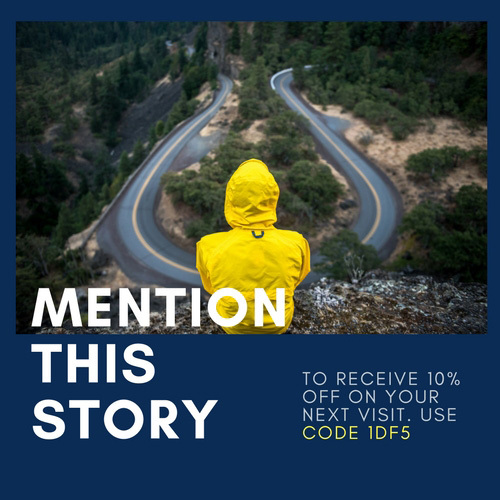 Mention the story on a website and in social media. Offer a special code for online visitors to mention to get a discounted rate. Create and hand out flyers or cards that promote stories that are about local places and put them at a business’s cash register or check out area. A business’ own story can be added to any digital platform you might use or even added to the town’s full story at a local museum. Imagine if the museum and business worked in tandem to bring people together to learn, to eat, to shop, etc.! Learn more about how business and culture can connect.